© 2017 South West Survey Group. All Rights Reserved. Has worked alongside Tony periodically since 1985, as well as nine years based in Cairns and two years in Scotland and offers extensive experience in the construction industry to the Group. Tom specialises in site analysis and topographical surveys, building and engineering set outs, GPS surveys and machine control and works from a home office in Deans Marsh. Established his surveying practice (Tony Jeavons Surveys) in Apollo Bay in 1984 and built a successful business which was sold in 2005 and practiced under the name Jeavons & Tomkinson until 2010. Tony brings over 30 years of professional experience working throughout the district consulting and managing land development projects. 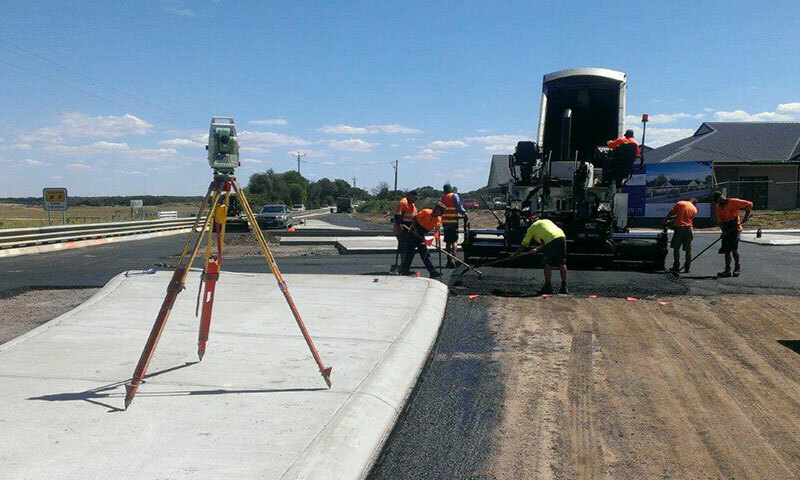 During this period he has developed a close working relationship with councils throughout South West Victoria. Tony continues to work from home offices in Apollo Bay and Jan Juc. Setout gridlines, profiles (hurdles), building corners, hold down bolts and establish Temporary Benchmarks (TBM’s) for new residential, commercial & industrial developments. Adopting the GNSS (GPS) system a network of control marks are established around the site. The design is converted to a digital terrain model (DTM) suitable for upload to the machine control system. We assist in calibration of the system ensuring that it is working correctly. 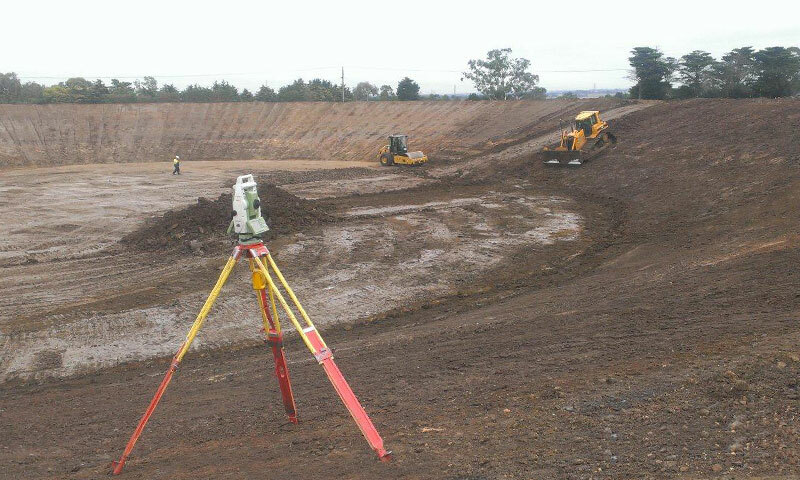 Volume computations of cut and fill for site requiring or undergoing excavation. As constructed reports to Barwon Water standards if required of sewerage & water reticulation, earthworks etc. 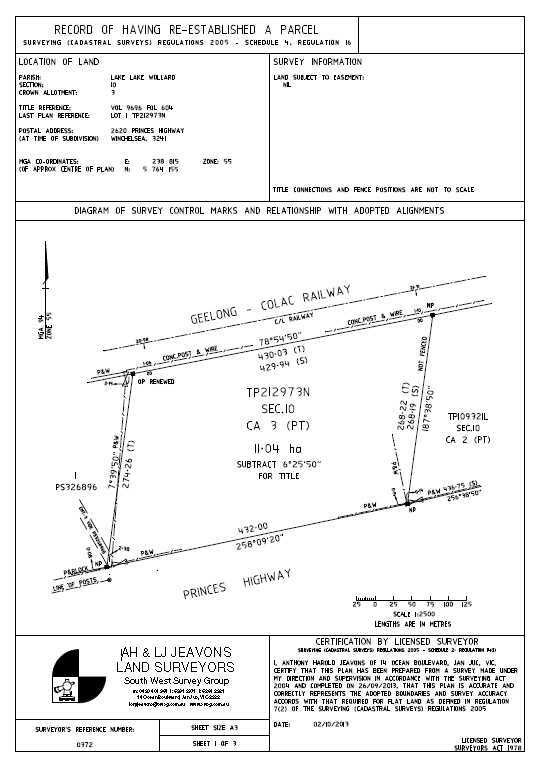 Design & setout of farm dams, roads & drainage. Feature & Level surveys to rescode specifications to support architectual, engineering and landscape design and large scale infrastructure projects. Control networks and digital terrain modelling over large areas including establishment of localization for machine control. Remotely Piloted Aircraft Systems (RPAS) also known as drones or UAVs. RPA offer a product boost for data collection for aerial surveys, mapping, asset inspection and aerial photography. 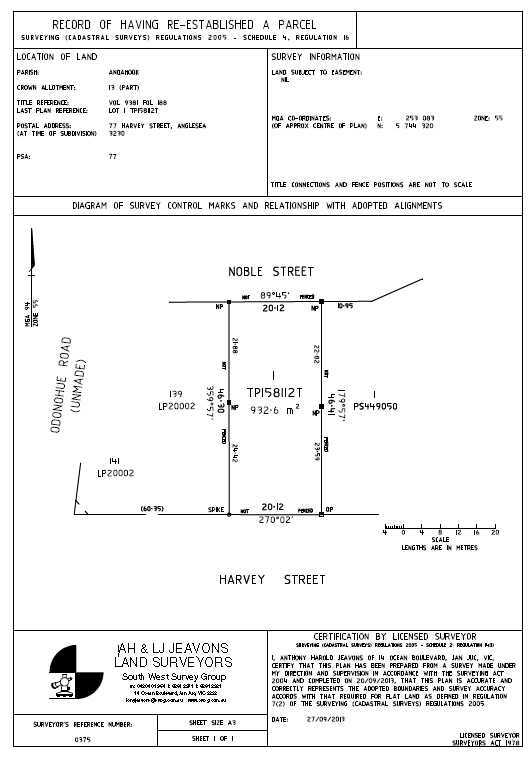 Determines the location of the title relative to the existing occupation (fencing / buildings etc.) surrounding the site. Any issues regarding the title are also identified along with your rights to your title. This survey can avoid costly delays and any potential legal action from adjacent property owners. 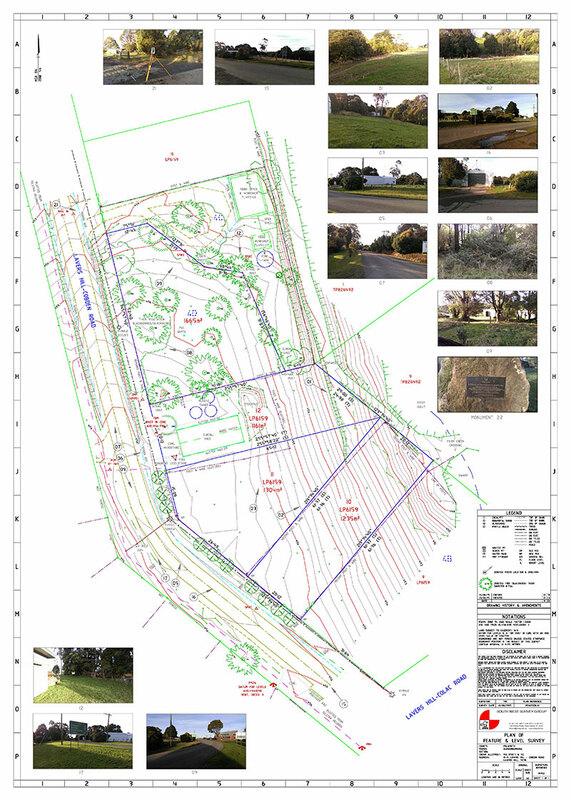 Marking the title boundary with pegs or other monuments and preparation and provision of a Plan of Re-establishment Survey. 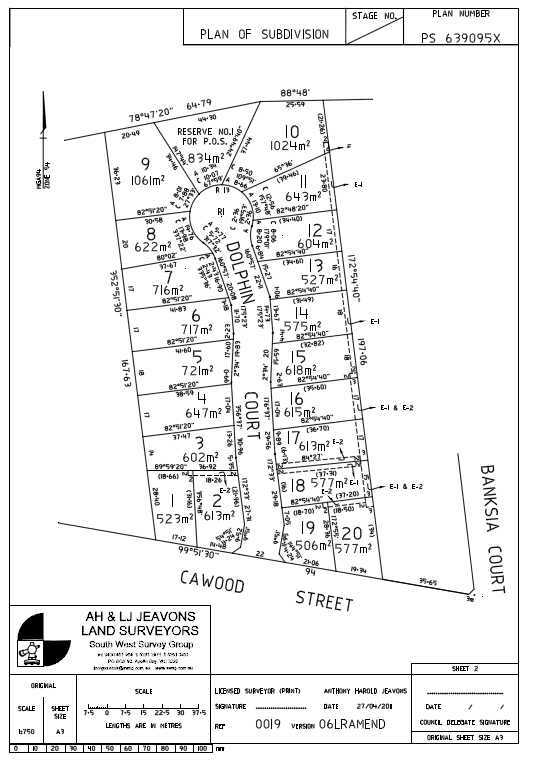 Lodgement of Plan with the Land Registry as per the Surveying (Cadastral Surveys) Regulations 2005 – Schedule 4, Regulation 16. Subdivision of residential, commercial & industrial buildings. The process of joining two titles together to form a complete parcel. A common process when a building is to be built over an existing boundary line. 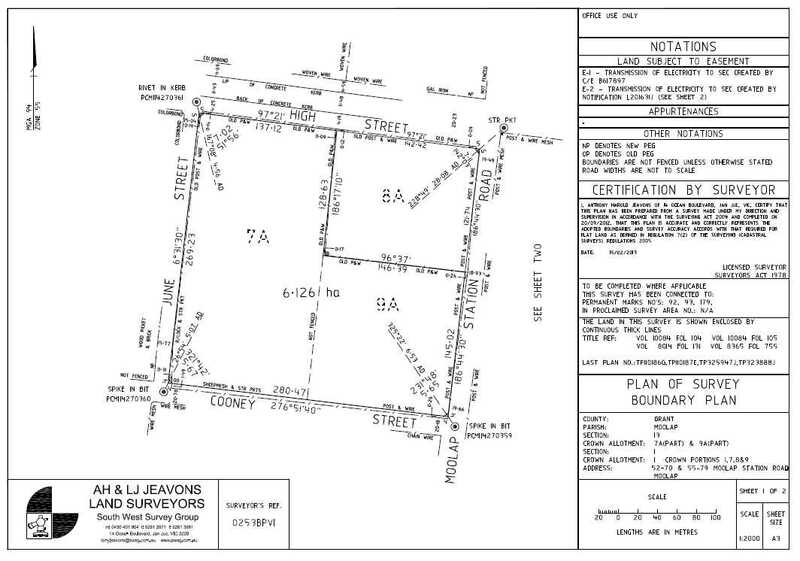 Similar to the subdivision process in part, boundary realignment surveys do not create any new parcels but move existing boundaries. The process normally involves multiple property owners working together to achieve the desired result. Create, vary or remove easements, leases or restrictions on land, subject to Council and Authorities approval. 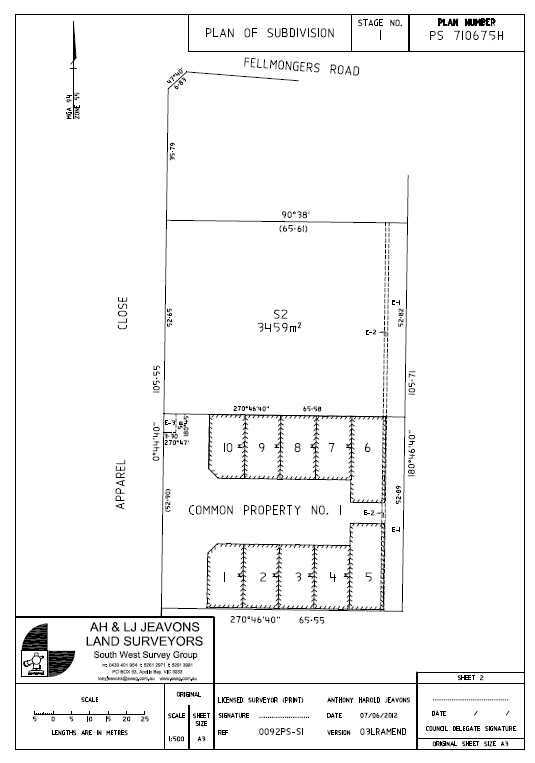 Lease Plans computed for Gross Lettable Areas (GLA’s) and Net lettable Areas (NLA’s) of industrial warehouses or commercial offices using the Property Council of Australia Guidelines.